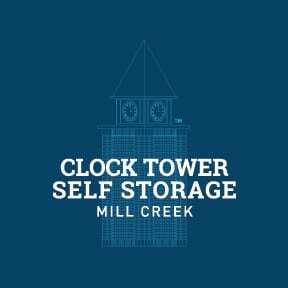 Mill Creek Clock Tower Self Storage is conveniently located just off the Bothell Everett Highway in Mill Creek, WA. We provide quality residential and commercial storage solutions to the residents of Mill Creek, Bothell, Everett and Lynnwood. As an added bonus, we offer our self storage customers a FREE* truck rental at move-in. Your comfort is our top priority. Contact our friendly and professional staff for more information on how we can help you achieve peace of mind with self storage.